If there is any doubt in your mind whether corporate culture is an essential conversation for your business, this article on Linked In by Cinequest’s CEO Halfdan Hussey proves it. The post received 48,565 views (10-20x any of his other posts) and 187 comments. 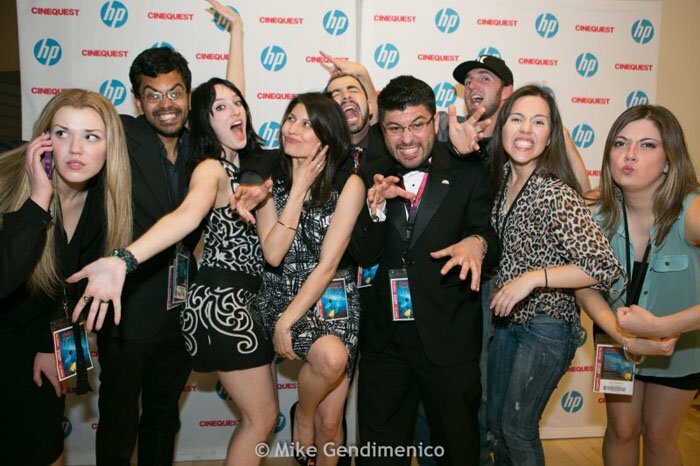 Creating A Company Culture That Matters at Cinequest. I am always surprised how hungry people are for the culture conversation. I believe it’s a hunger for real meaning at work – meaning that goes beyond simply focusing on goals and strategies to make more money (and YES these are very IMPORTANT!). HOW work gets done in your organization (culture) is more important than ever, where customer and speed are king and relationships and networks (not just your product) are a main ingredient in growing a business. **The conversation has to be led by the CEO, nurtured by the CEO, and lived by the top leadership team … however, the CEO’s job is to provide structure (eg, the Values labels) and then listen deeply, versus impose the definition. Employees have the most accurate view of the company culture as it exists today … it is best to look to what behaviors are common among your highest-performing talent for clues to defining culture. **Values are a good starting point, but leaders and employees need to know what BEHAVIORS are rewarded and what behaviors are not tolerated in order for the values to have meaning. Consistency in decision making from the top is how Values gain credibility, not a poster or a memo. **Any time you define culture you risk excluding people who do not see themselves in your definition (Cinequest saw people leave as a result). Business is about managing risk: Take a stand for the workplace you believe in (one that will execute your vision AND make your job as CEO most enjoyable) and relentlessly pursue the right people to help you achieve it. DO NOT settle on hiring. Keeping the wrong people in the company is one of your biggest risks, because they undermine the performance and morale of those who are succeeding. **In today’s world, any conversation about culture must include “How will we build a culture that can detect and respond to opportunities in the market more quickly?” The speed of change is faster, competition more intense than ever. You must work to define a culture that is friendly to change and can adapt quickly if you want to continue to grow and prosper. In my experience, trust is the cornerstone of a culture that can adapt quickly. Now more than ever, culture matters. Visit our website for free tools and resources on assessing your organization’s culture, building trust, and making the most of the culture-performance link.